When any of my relatives talk about classic timepieces, there is always this one watch company that comes to mind. 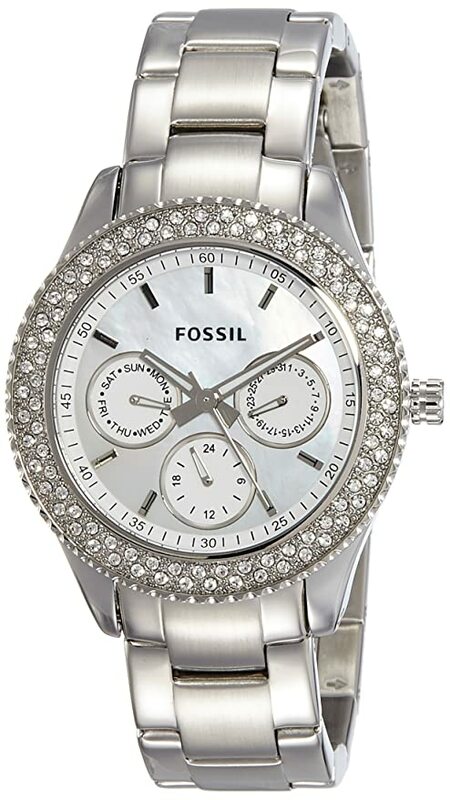 The Fossil watch manufacturers have been in the watchmaking scene for some time now. And I won’t be lying if I said that I have some sort of a nostalgic relationship with them. As my father sported one Swiss Fossil himself (which he then gifted me on my wedding), Fossil watches have always held fond memories for me. Additionally, their classic and the more traditionally inclined build have always been a source of inspiration for my own timepiece designs. Hello! This is Raymond, and today I would like to talk to you about a watch brand which is indeed quite close to my heart. And I am confident that the Fossil range of watches will appeal to you as much as it appeals to me. What about the Q Explorist Series could be better? Fossil has been in the watch manufacturing business since 1984, and over the years they have developed a reputation for producing high-end timepieces at a very affordable price. However, most people recognize them as more of a fashion brand with prominent names like Blueberry, Emporio Armani and Michael Kors working under them. 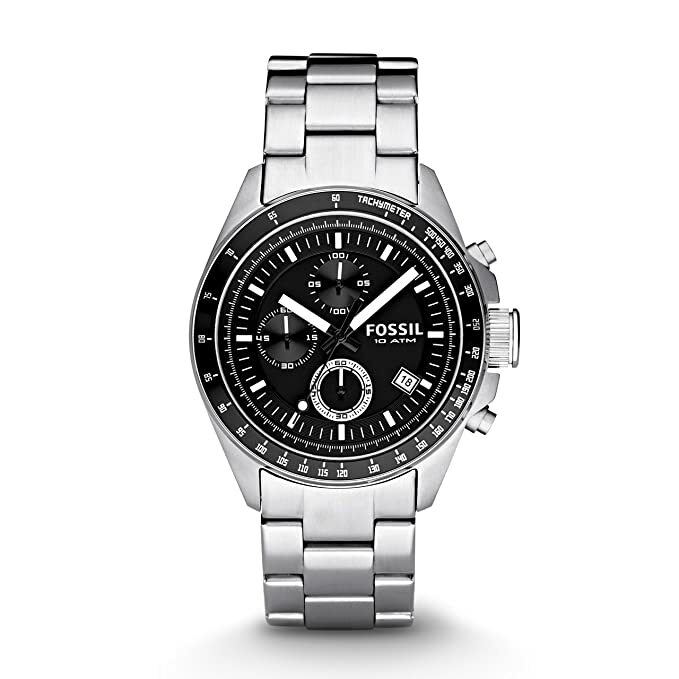 Though Fossil offers more than just watches, they by no means compromise on the quality of their models. 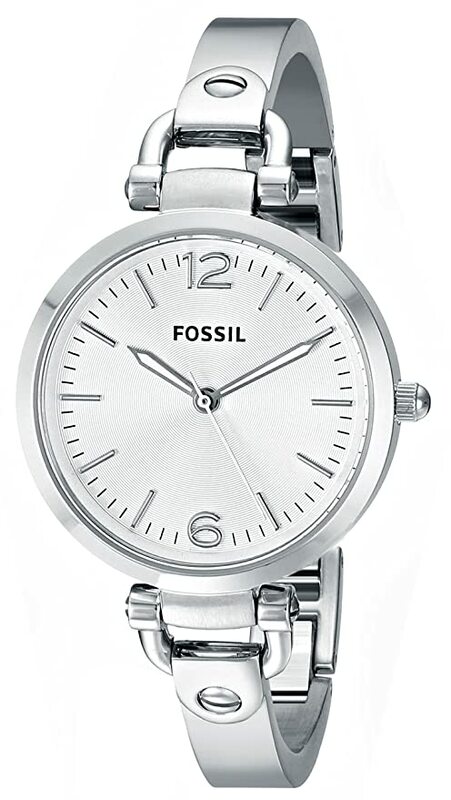 Most of the Fossil designs come with a stainless steel body; they are very durable and are quite easy to repair. But if you’re not a big fan of the stainless steel builds, then Fossil also offers the classic genuine leather watches as well as silicone. 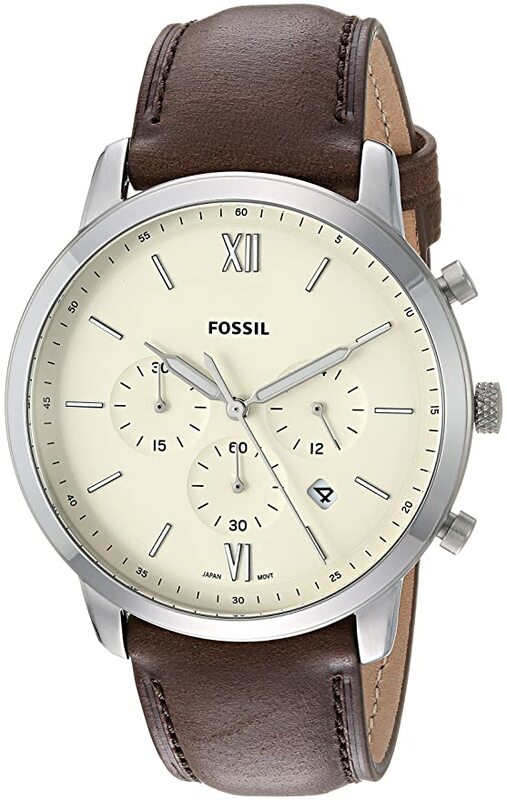 They have a variety of series that are dominating the current watch market which makes Fossil so versatile as a brand when it comes to catering to customer needs and demands. 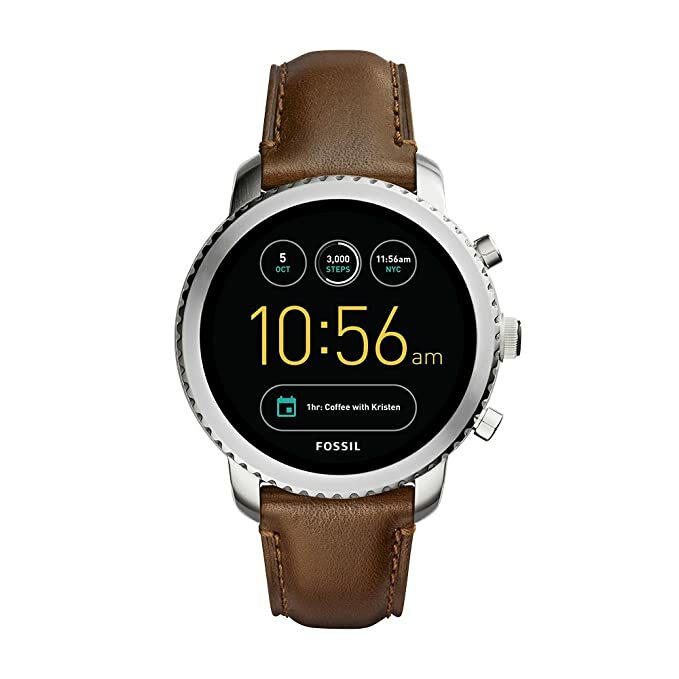 I believe that the Fossil’s Q Explorist series deserves a spot on anyone’s shortlists. The watches are quite unique in their style, runs on Android Wear 2.0 and are not as expensive as most of their competitors. Looking at the collection’s chunky and classical design, one could very quickly mistake the watches for a more traditional accessory. With a 46 mm case, these watches come with a stainless steel frame, a notched bezel that goes around, and a circular AMOLED display, making them a very modern timepiece series. However, the bezel doesn’t move but has a rotating crown on the right side which is closely followed by two additional buttons. The case is 12.5 mm thick, making the build a bit more durable, and the watches come with a standard steel link strap which you can then later replace if need be. Each of the Fossil Q Explorist watches is installed with a Qualcomm Snapdragon Wear 2100 processor. They are supported by an amazing 512 MB of RAM which makes navigating between the various apps as smooth and as seamless as possible. As the watches run on Android wear 2.0, it’s always better to pair them with an Android device rather than an iOS. But I am not saying that you shouldn’t go for the Explorist series if you have an Apple device. It’s just that they benefit a bit more from the Android platform than they do with iOS. From directly downloading apps from the Play Store to literally playing games on the watch, there are some fantastic features to look out for. The watches also have certain smart function capabilities like automatically tracking your daily activity through the Google Fit app. You will be able to set goals, track steps and keep records of your calorie burnt along with all your workout sessions. However, they don’t have the heart rate sensor feature as well as GPS capabilities as they are not designed to be full-fledged fitness trackers. The most disappointing feature of the Q Explorist series for me is the battery life. They have a maximum estimate of a 24-hour battery backup, but that’s only when the watch is hardly being used. And even with the “Always-on Display” turned off, you will probably have to charge the device every night before going to bed. 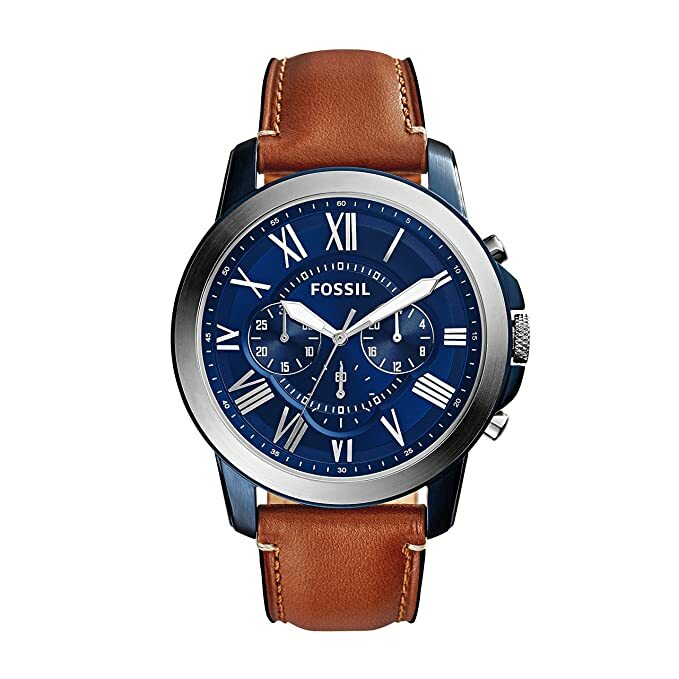 When it comes to their more classical designs, Fossil has a fantastic lineup to pick from. And today I’d like to list out the ones which have caught my fancy as of late. Unlike some of the other classical models which feature a mechanical movement, the Luther series comes with an electronic watch movement. It is designed with a quartz crystal that oscillates every time the current is applied, thereby making it much more accurate than many of the other watches of its class. The stainless steel case and body provide it with a very traditional feel, imparting a sort of a mellow elegance. That makes it just perfect for both casual and professional occasions. The straps are extremely durable as well and will last the entire lifetime of the watch if maintained properly. They can also be easily adjusted and replaced with leather straps depending on your preferences. In terms of water resistance, Luther watches come with a depth rating of 5 ATMs and can be worn around household sinks or even while swimming in shallow water. When it comes to the perfect blend of quality and versatile design, not many watch models can compete with Fossil’s Grant Chronograph series. With their signature calfskin band and buckle enclosure, a mineral dial window and Roman numerals, these watches project a very classy overall look and appeal. However, what makes the Grant series stand out from the rest of the Fossil classical models is the beautiful pairing of the traditional analog with a 3-dial chronograph design. Chronograph trios are usually noticed in the more modern models especially activewear like sport and smartwatches. But Fossil makes an exception on this occasion and offers itas aa dress watch series. This makes the watches look rather sophisticated with a slightly modern touch. Just like the Luther series, the Grant Chronograph too comes with a quartz movement. This is what makes this series so affordable to the average buyer. Unlike fully automated movements, quartz is much cheaper but doesn’t compromise on build quality in any way. The Neutra Chronograph series is made with minimalism as a theme. Though these watches are designed to display the bare minimum, they still come with a stopwatch feature which is generally built into the 3 separate dials of hours, minutes and seconds. The black leather straps of these models are made of high-quality leather. They are comparatively much more durable, are soft on the wrist, and look just amazing with both casual and professional attire. Another unique feature of this watch series is its compatibility with a different variety of straps. The watches are designed in such a way that they can easily fit in multiple strap designs. 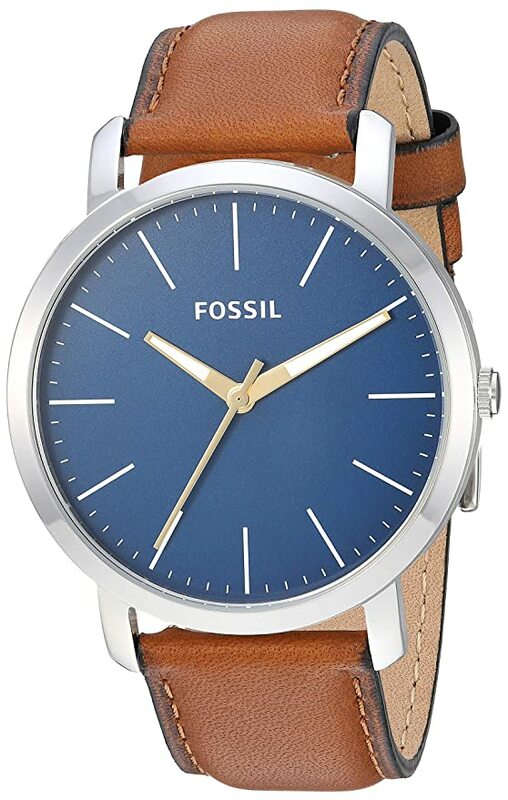 May you like leather, stainless steel or even plastic for that matter, Fossil has a large variety of straps to pick from for this particular watch model. The Nate collection is military inspired and come with oversized dial designs, which look both bold and attractive at the same time. The Nate watches are all about making a statement no matter where you go. The Modern Machine set is the more technologically advanced collection. With chronograph subdials and silicone bands, they have a nice modern and industrial feel to them, along with being extremely durable. The Townsman range is retro-inspired and is designed as a tribute to the 1950s American’s way of living, thereby focusing more on the traditional appeal more than anything else. They are classic timepieces that look very business-like and are just ideal for professional settings. Autosports was quite popular during the 1960s, and that is precisely where the Del Rey and Wakefield collections take their inspiration from. These watches may look small, but they have a very masculine appeal boasting one of the best in Fossil craftsmanship. The Swiss series is by far their most popular high-end collection. With the ultimate craftsmanship, these watches are Swiss made with the highest quality. They come in both stainless steel and leather bands and are the perfect balance between the traditional design and modern ingenuity. From supporting traditional designs to having smartwatch capabilities, the Fossil range of watches is as versatile as a high-end line up can get. 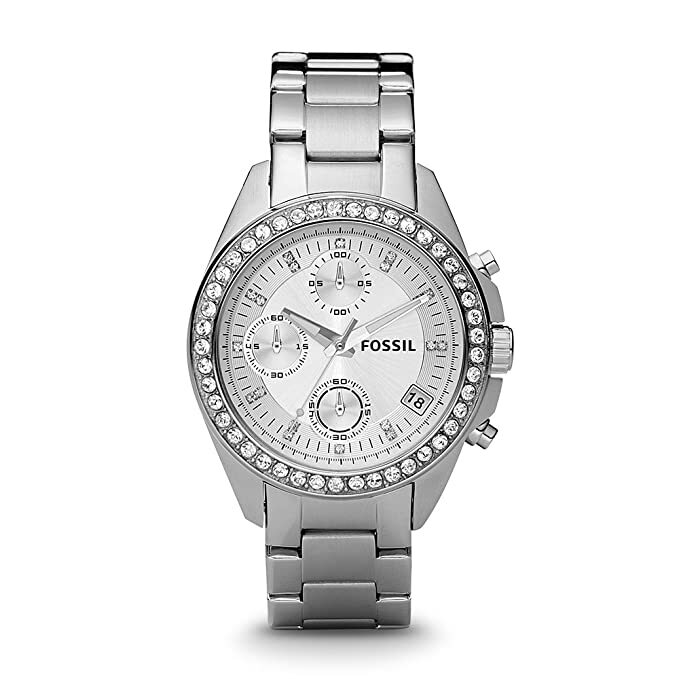 And if you’re in need of a classic timepiece that boasts modern features, then a Fossil watch is exactly what you’re looking for.